The U.S. Environmental Protection Agency Science Advisory Board (SAB) today finalized its review of the EPA's June 2015 draft study of fracking's impacts to drinking water resources. For over a year, a panel of 30 scientists, engineers and industry consultants have reviewed the details of the 1,000-page draft report. The panel has taken particular issue with a finding that seemingly came out of left field: the agency's statement that fracking has not led to "widespread systemic impacts" in the U.S. 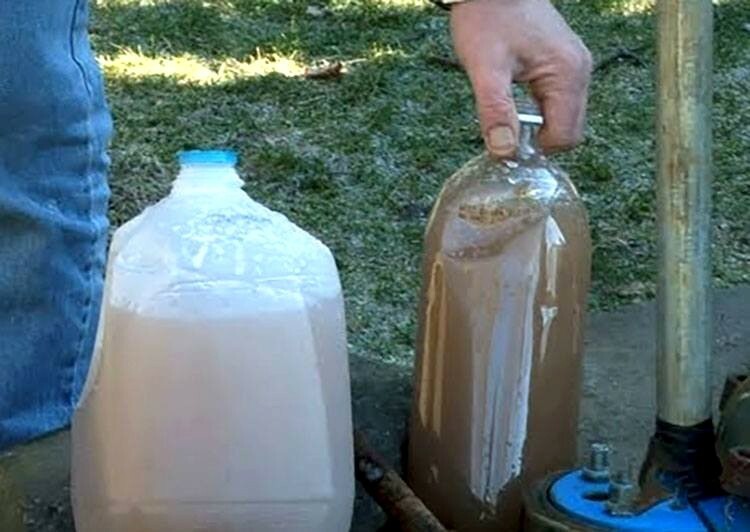 Tainted water collected from a private drinking water well in PA near a fracking site. The EPA dismissed fracking's impacts with this line, without any clear, scientific basis of support, and now the EPA SAB has taken the agency to task. The EPA, and independent peer-reviewed studies, have identified many mechanisms of contamination, such as spills, well cementing failures below ground, and complications with waste disposal. For example, the EPA found there was on the order of 15 spills every day somewhere in the U.S., yet chose to dismiss those daily incidents as not a sign of "widespread, systemic" problems. Affected individuals, public interests groups, and now the independent EPA Science Advisory Board, comprised of the EPA's own scientists, are calling on the EPA to "clarify" and "quantify" the controversial "widespread, systemic" line, or drop the language altogether. The panelists joined affected individuals and various independent experts who submitted comments in taking issue with how the agency ignored three high-profile contamination cases in its study—notably Dimock, Pennsylvania; Parker County, Texas; and Pavillion, Wyoming. The agency's omissions were contentious in part because in each case, the EPA prematurely abandoned investigations. Now, the EPA SAB has recommended that the agency include detailed summaries of these critical cases. "By choosing politics over science, the EPA failed the public with its misleading and controversial line, dismissing fracking's impacts on drinking water and sacrificing public health and welfare along the way," Hugh MacMillan, senior researcher at Food & Water Watch, said. "We are calling on the EPA to act quickly on the recommendations from the EPA SAB and be clear about fracking's impacts on drinking water resources. The EPA must prioritize the health and safety of the American people over the political interests of the oil and gas industry and its financiers, who have committed hundreds of billions to drilling and fracking in the coming decades. For climate reasons alone, that's a vision for the future that we can ill-afford." The release of this final report comes on the heels of a massive March for a Clean Energy Revolution at the Democratic National Convention calling for a nationwide ban on fracking, a March 2016 Gallup poll showing that Americans oppose fracking 51-36 percent, and a July 2016 Johns Hopkins Study showing that fracking is linked to increased asthma attacks in Pennsylvania. A recent peer-reviewed analysis of the science on unconventional oil and gas extraction, of more than 680 peer-reviewed studies, found that, "The great majority of science contains findings that indicate concerns for public health, air quality and water quality." In October of 2015, a partnership of prominent health organizations encompassing nationwide medical and public health experts and scientists released a Compendium of more than 500 peer-reviewed scientific papers, as well as numerous government reports and findings, demonstrating the risks of fracking to public health, air and water quality, birth and infant health, the environment and climate change.